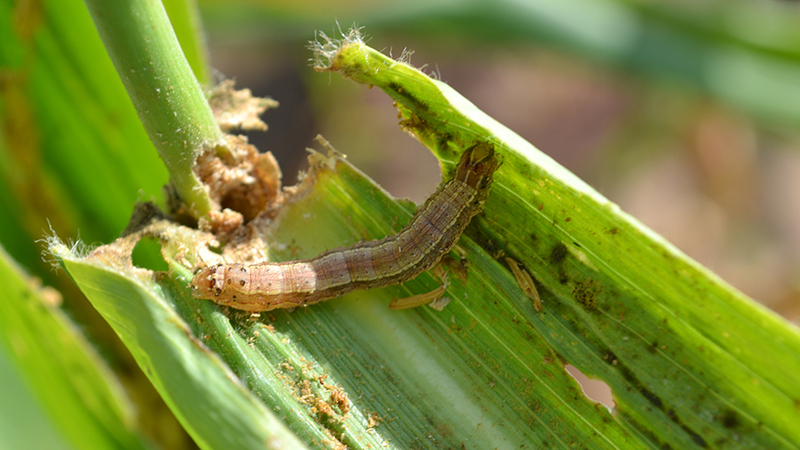 The fall armyworm is the larvae of the fall armyworm moth species Spodoptera frugiperda. Photo by Centre for Agriculture and Bioscience International (CABI). The map illustrates the likelihood of the establishment of the fall armyworm if introduced at different parts of the world. Image by Regan Early. A preprint of the study was published earlier on bioRxiv.